Imagine Cup is a global competition that empowers the next generation of computer science students to team up and use their creativity, passion and knowledge of technology to create applications that shape how we live, work and play. You and your team will make an original technology project from start to finish: come up with a great idea, make a plan, build your project, and submit it! 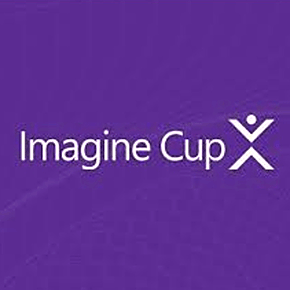 Imagine Cup teams are made of up to three eligible students. You can create a team from your profile page. If a friend creates a team, they can invite you and a notification will show up in your account. Every year tens of thousands of students from across the globe compete for cash, travel and prizes and for the honor of taking home the Imagine Cup. Imagine what you can bring to the 2019 cup!